Entering for a friend with kids. My children would love these! Thanks for sharing such a wonderful selection. i am a children's librarian and would love these to show and display with my patrons -- so many of them are still very very popular with my young readers! I would enjoy reading these to my three year-old and one year-old. Thanks for the offer! Hoping! Nice little set! Thank you! Would love to win these for my three littles! Lovely collection! Thanks for the giveaway. Awesome collection! We'd really enjoy these! Thanks for the opportunity. A great collection. HOW BEAUTIFUL! I would love looking at these on my shelf every day. Thank you, this is totally awesome! 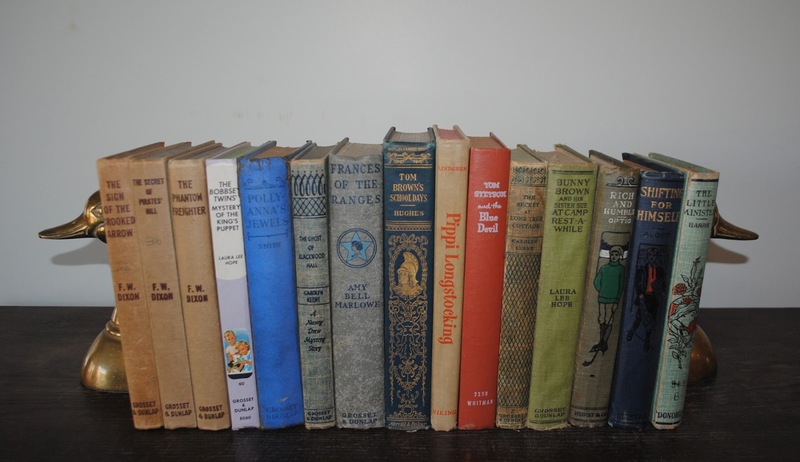 Oh my, Hardy Boys, Bobbsey Twins, Pippi - some of my childhood favorites! Nice nice nice nice nice! I'd love to win these, I just love classic children's books! I have 4 grandkids that love to read. It would be my honor to be the new owner of these books. Throwing my hat in the ring! I'm sooooo in! Great books this week. Sign me up, please. Thanks.